Emily used paint from Michaels for her boards. She taped off her stripes and drew on her stars before painting each board. She even painted around each star by hand, which I thought was super impressive. DISCLAIMER: Only one star was harmed (read: painted over) in the creation of these boards. Two coats on each, and she was d-o-n-e done! The are so cute, don’t ya think? 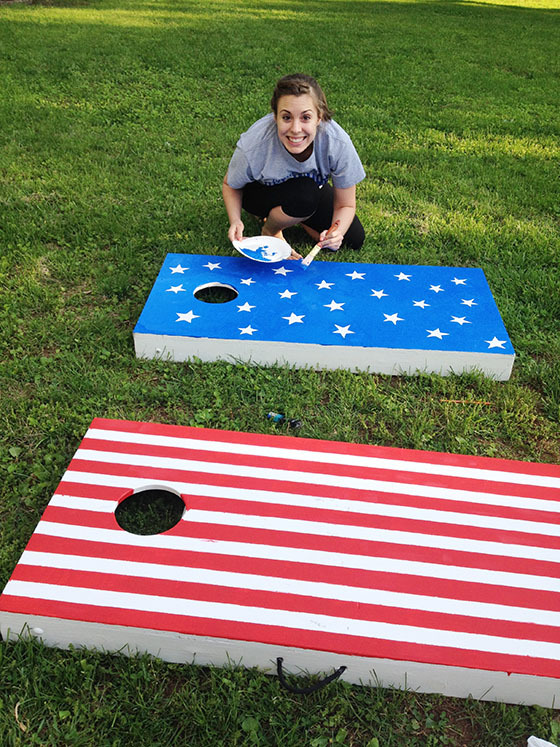 The only thing cuter than her patriotic boards (and my garden behind them) is Em! 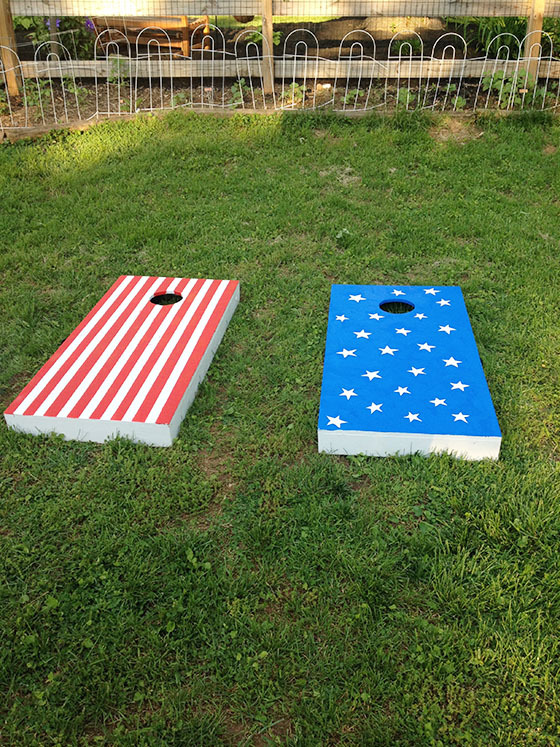 We will be using these boards at our Memorial Day picnic/Em’s birthday celebration this weekend!